Wedding collections begin at $1975. All collections include two photographers, Mandy and a photojournalist. Also included is a disc of all files, fully retouched and enhanced, with a lifetime print release. Well equiped packages also include our signature designer albums. 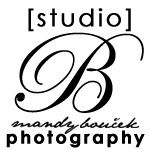 Please contact us to set up an appointment to discuss your photography needs for the most important day of your life.